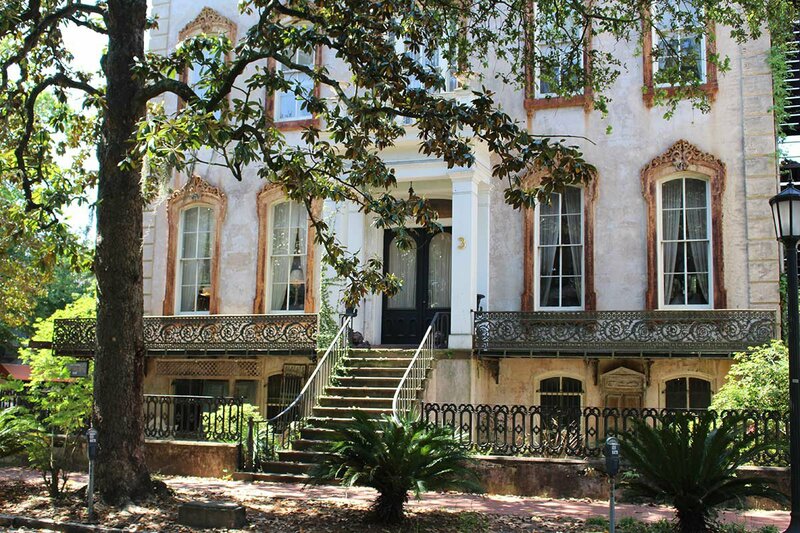 One of the many beautiful homes in Savannah's historic district. Photo by Berit Baugher. 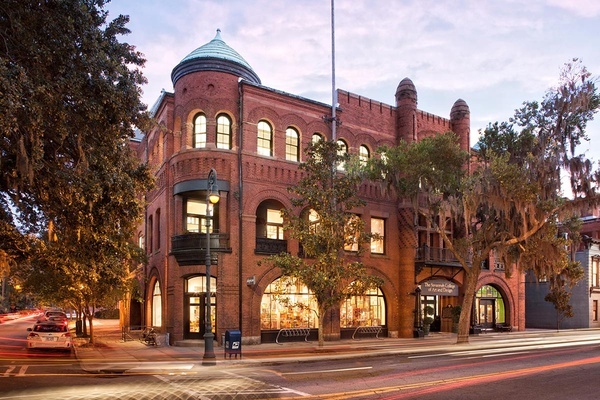 After a weekend exploring the historical side of Savannah, Gentedimontagna editor Berit Baugher checked-out the city's up-and-coming design scene. SAVANNAH – Rarely do I visit a new city and wing it. I'm the type of traveler that plots, plans, and pins in preparation. But occasionally, a travel opportunity arises in which someone else is making the hotel and dinner reservations. Such was the case with my first visit to Savannah, Georgia, a city I knew very little about and had next to no time to research. It was the middle of a busy month filled with travel. I squeezed in three days in to celebrate the impending nuptials of a childhood friend. Everything from rooms at to pre-dinner drinks at was planned in advance, making it one of the most seamless (and fun) bachelorette weekends on record. Knowing I would want to see Savannah on my own terms, I booked an extra day after the festivities. My big takeaway: The traditional southern city, with its moss-adorned oak trees, wide porches, and humid air, is surprisingly modern with a thriving design scene. The lobby at The Brice. 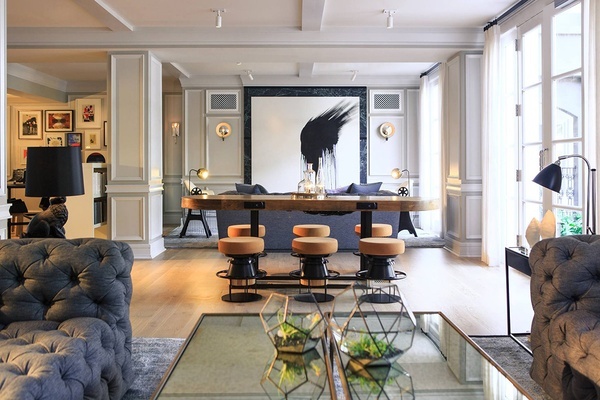 Photo courtesy of Kimpton Hotels. I loved The Marshall House with its traditional interiors and Civil War-era ghosts, but next time I'll stay here for a modern take on an old-fashioned city. Housed in a former Coca-Cola plant, it was deep in the construction phase when I visited but has since opened with one of the city's few swimming pools, a fleet of cherry-red Public cruisers, and a bow tie-adorned staff. It's also rumored to have — of the equine variety. SCAD's flagship buidling, Poetter Hall. Photo courtesy of Savannah College of Art and Design. The relatively young university (founded in 1978) is one of the country's top art schools, specializing in everything from photography and graphic design to historical preservation. With nearly 70 historic renovations under its belt, the university's largely responsible for preserving the neighborhood's architectural heritage and clearly yields influence all over the city. contemporary arm is home to the Kirk Varnedoe Collection, which includes works by Jasper Johns, Chuck Close, Roy Lichtenstein, Jeff Koons, and Richard Avedon. It also houses a rotating display of traveling exhibitions and the iconic Bird Girl statue from . An interior shot of the former Greyhound Bus Station. Photo courtesy of The Grey. 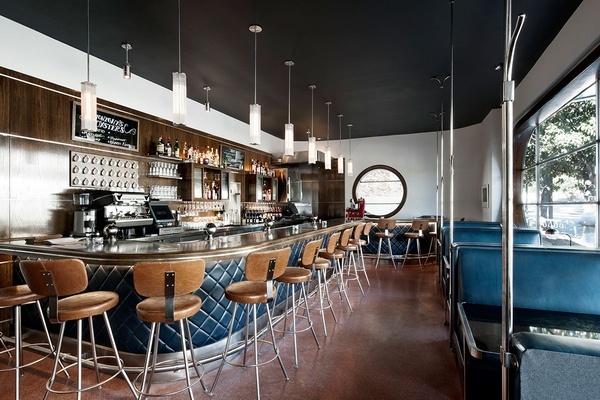 A landmarked 1938 Greyhound bus terminal has been converted into a gorgeous new restaurant where chef Mashama Bailey (a local girl who used to cook at Prune in NYC) is turning out Southern food with a New York attitude. It has already been nominated for a James Beard award for restaurant design, but it's all about the food: smoky pig with fried egg, hot buns and red pepper jelly, chicken schnitzel with white BBQ sauce. With the weather heating up, head outside to the Yard to eat al fresco. Floor-to-ceiling mahogany bookshelves line the walls of the tea room, once a turn-of-the-century pharmacy. It's a cute spot for a bite to eat or casual afternoon tea. The restaurant is run by SCAD and staffed with former and current students who should probably be thanks for the contemporary art scattered about and expertly preserved stained glass windows. 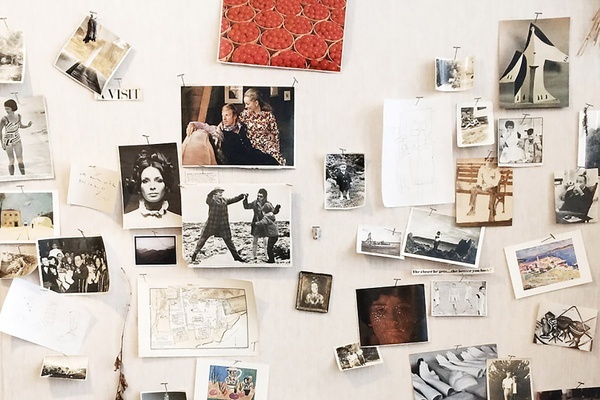 The mood board at Prospector Co. Photo courtesy of Prospector Co.
A darling chocolate atelier with the most exquisite creations. The little pieces of art are so nice to look at, you'll almost feel bad eating them. Great for gifts or a quick sugar fix. The gallery/shop is stocked with art and products exclusively made by SCAD students and alumni. You may recognize a few of the brands (, , ), but most everything was new to me. Their flagship store in Sag Harbor is a personal favorite, so it was fun (and surprising) to encounter another one down south. They have beautiful furniture and a lovely selection of what they call "life supplies" (steel first aid kits, Laguiole corkscrews, Turkish towels, and artisan maple syrup). Head to the coffee bar in the back for a selection of cookies and coffee. Three visits in one day should sum up how much I love this store. It reminds me of Anthroplogie's home section, but with a Parisian flea market twist. Next time I'll swing by the adjacent cafe for sandwiches and a glass of lavender garden tea from popular . A modern apothecary specializing in skin and shave products free of unnecessary additives. The expertly curated shop also carries a nice mix of clothing, home goods, stationery, and one of the best inspiration boards I've ever seen.